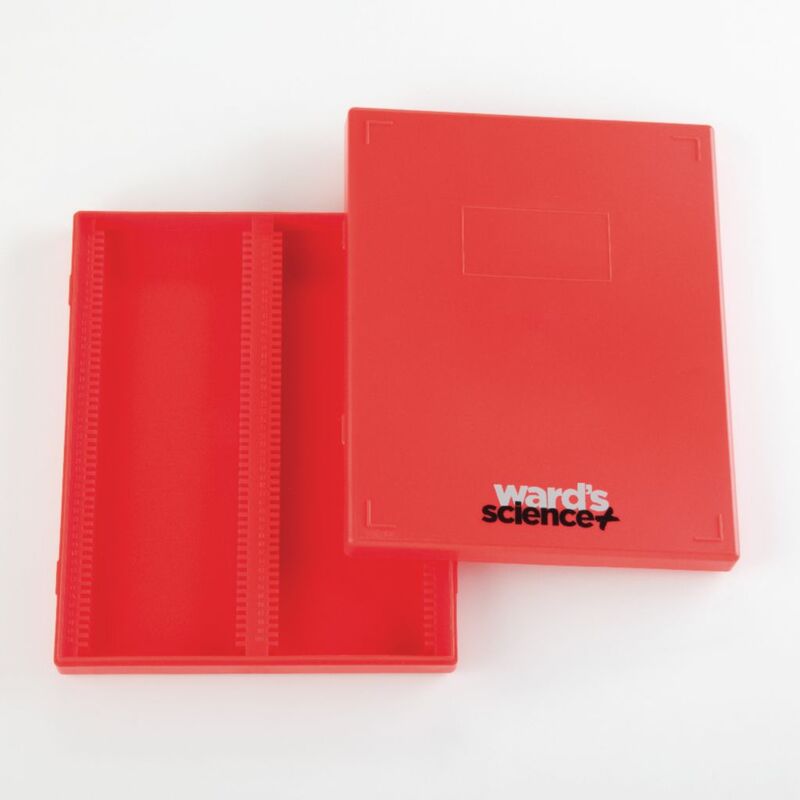 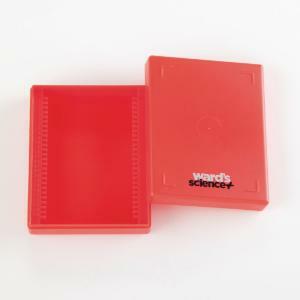 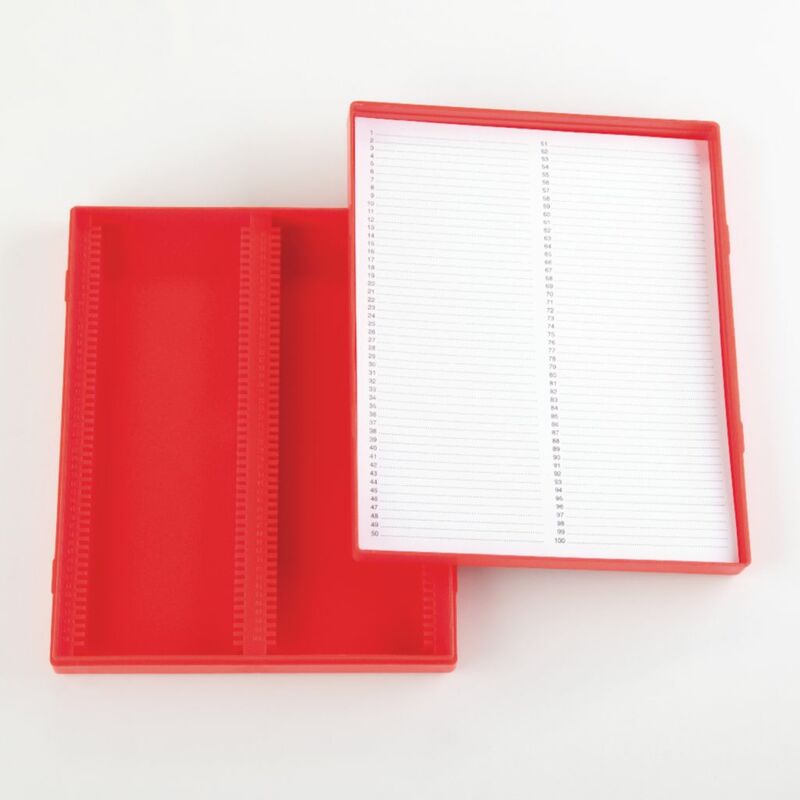 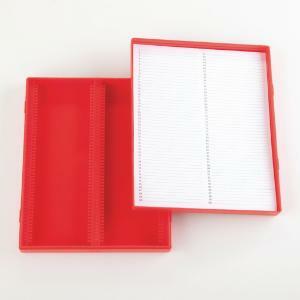 The plastic slide box protects 1x3" slides and won't warp when temperature and humidity vary. 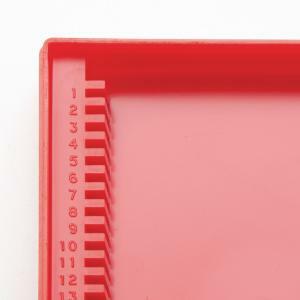 The 25-capacity and 100-capacity boxes have fully removable lid latches with a plastic clip. 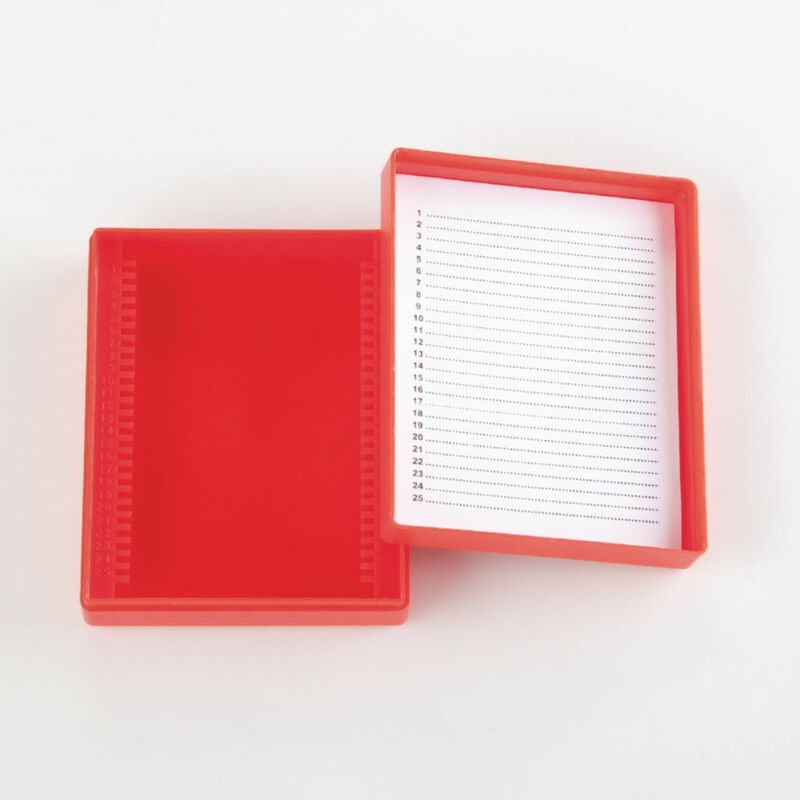 The 10-capacity boxes are hinged, with a snap-close mechanism.